The top songs based on movies, or which were inspired by movies. 25 Pet Sematary by the Ramones. Based on a Stephen King novel, this movie and its theme song were both fun! 24 Tom Sawyer by Rush The song is much better than the movie (or the over-hyped book). 23 - Frankenstein - Edgar Winter Group. 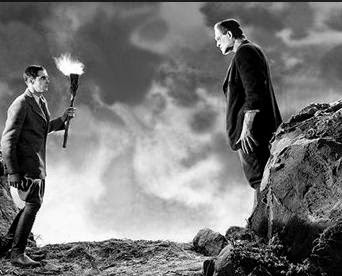 One of 15 Frankenstein related songs I found by various artists, but this 9-minute instrumental track is the best. 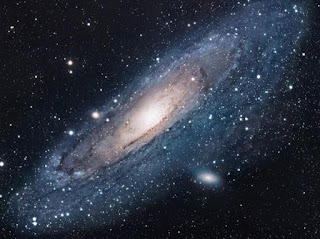 20 Amadeus by Falco. How could the 80s have survived without the most catchy, annoying, yet gratifying song... we love/hate it. How about the 18 minute extended remix? 17 Gloria by Laura Branigan. Based on the acclaimed 1980 movie starring Gena Rowlands. 16 Misty Mountain Hop by Led Zeppelin is one of many songs about J.R.R. Tolkien's "The Lord of the Rings" trilogy, which later became movies. 15 Journey to the Center of the Earth - Rick Wakeman, genius keyboardist of Yes, created this masterpiece based on the movie. 11 Flash! Queen did this tune for the Flash Gordon movie remake. Nicely done, too (the song, not the movie). 9 Pretty in Pink - the Psychedelic Furs released this song in the early 80s, and it was later used by John Hughes in his witty teen movie starring Molly Ringwald and Jon Cryer. 8 Sixteen Candles - 50s song by The Crests. Another John Hughes 80s movie, excellent and memorable. This time Molly teamed up with Anthony Michael Hall. 7 The Wild Life - Bananarama brought us a very catchy and smooth tune for the 1984 movie. 6 Animals by Pink Floyd is based on George Orwell's Animal Farm. At the time it was based on the book, and later became a movie. 5 Nightfall in Middle Earth performed by Blind Guardian, a symphonic metal band who have written many songs about "The Lord of the Rings," including another track called "Lord of the Rings." These songs are all great, but Nightfall is my favorite LOTR song in the Blind Guardian library. 3 - Rivendell by Rush , another "Lord of the Rings" song. I found over 180 songs about this trilogy, but I think the Rush song is my favorite. This acoustic song appeared on their Fly by Night LP back in 1975. 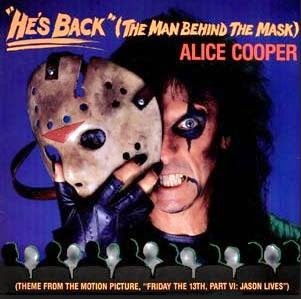 2 - He's Back (The Man Behind the Mask) - Alice Cooper penned this song for the Friday the 13th slasher movie series, and it was featured during the credits of FF13 part VI. Not the best movie, but certainly one of the best songs. 1 (tie) Godzilla by Blue Oyster Cult tops the list of movie songs. From the Spectres LP in 1977, this was a great anthem for a long series of monster movies. Those are the best songs with a movie as their inspiration or basis. The marriage of the two has always been a pop & rock blessing.